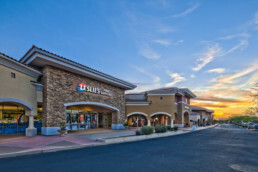 Jason Griffith, CCIM with NAI Excel, sold the Shops at Dove Valley in Cave Creek, Arizona. Cave Creek is a more rural, but upscale community, located immediately North of Scottsdale, Arizona. As an investment sale, the Shops at Dove Valley, a 38,925 SF multi-tenant retail development, traded for $6M…or $154/SF. Several neighboring big-box stores are in the neighborhood. Built in 2006-7, the investment sale should very conservatively yield a 7% CAP rate (capitalization rate) after a short stabilization period. The property has been experiencing one new lease deal per month since closing in early January. The California buyer completed a 1031-exchange and this client is also under current contract to purchase a multi-tenant tilt-up industrial building in Utah County. The current ‘hot’ investment market is making quality investment properties particularly difficult to find. Finding this and the Utah County property took enormous effort in a across-the-country search for investment-grade properties. Many such deals are now being traded off-market, as was the Greensprings Shopping Center in Washington Utah. NAI’s Phoenix office is providing property management services for the Shops at Dove Valley. Griffith represents investors with investment acquisitions in Utah and throughout the United States. The current ‘hot’ investment market is making finding quality investment properties particularly difficult. Finding this and the Utah County property took enormous effort in a across-the-country search for investment-grade properties. Jason Griffith is a senior member and commercial-investment specialist at NAI Utah South. 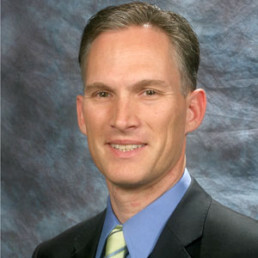 He is a 22-year veteran in the St. George commercial real estate market. Jason has extensive experience in all aspects of commercial real estate, including: industrial, office, retail, consulting, investments, market analysis, project development and leasing. Jason’s business philosophy is centered on building trust and integrity with clients. Success is the result of hard work, experience, knowledge, and belief that clients deserve ethical and competent commercial brokerage service. This philosophy guarantees clients receive the best possible service and reach their objectives. Integrity, Trust, Service, and a Hard Work Ethic are characteristics that illustrate Jason’s career and relationship with his clients. Backed by his market experience, knowledge and education, Jason is a skilled negotiator who is well versed in the nuances of lease and purchase negotiations. Whether representing the seller or buyer / landlord or tenant, he is a key asset in the disposition of commercial property.